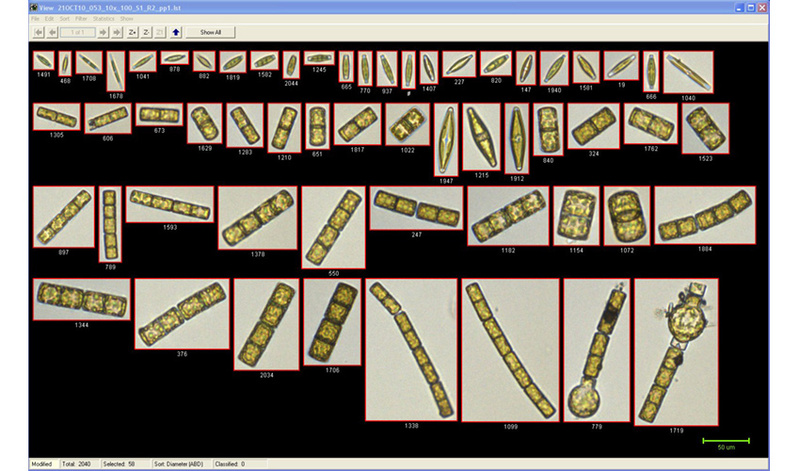 FlowCAM enables more rapid, automated identification and characterization of algal species. 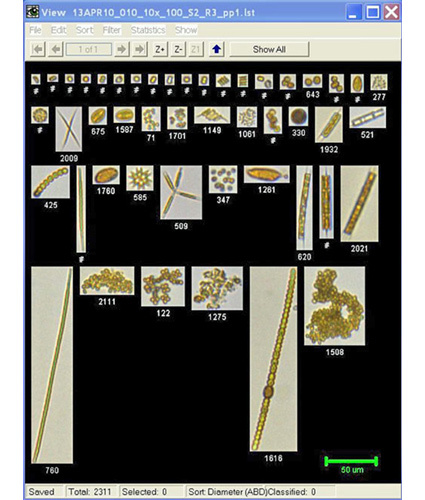 Typically, this task is carried out manually by trained operators using microscopes. 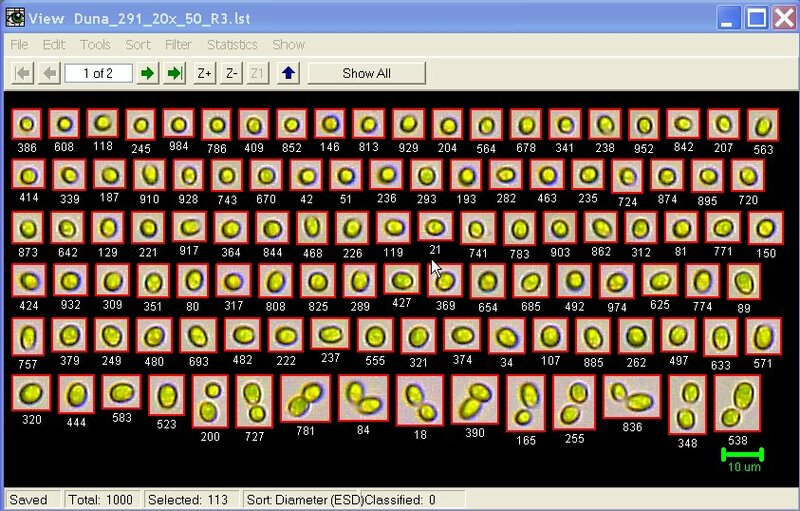 This method is very time consuming, and as a result makes it difficult to process enough sample to get high statistical confidence in the results. 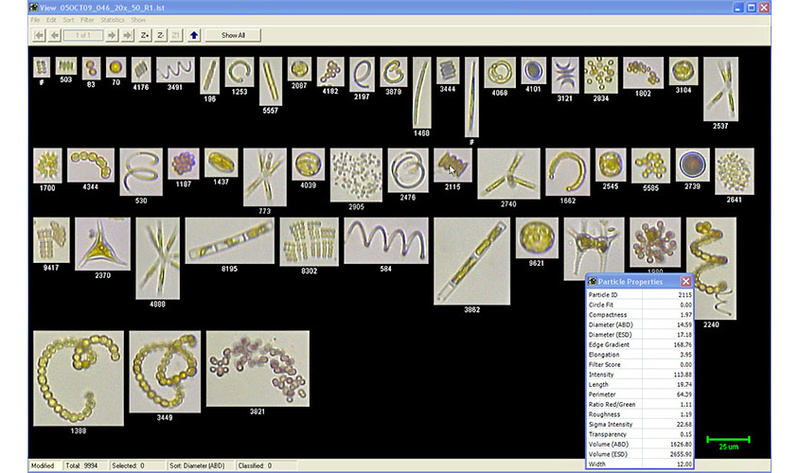 With FlowCAM, “libraries” of specific target algal species are first built by selecting representative images acquired with the instrument that are typical of the species. 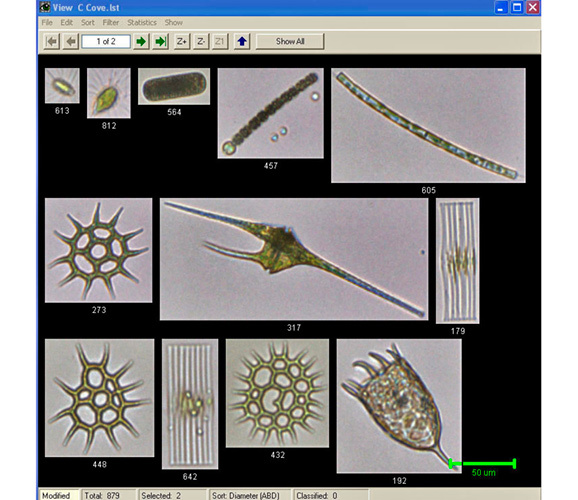 After the libraries are built, every time a new sample is run through the FlowCAM, each algal cell imaged is compared against these libraries. 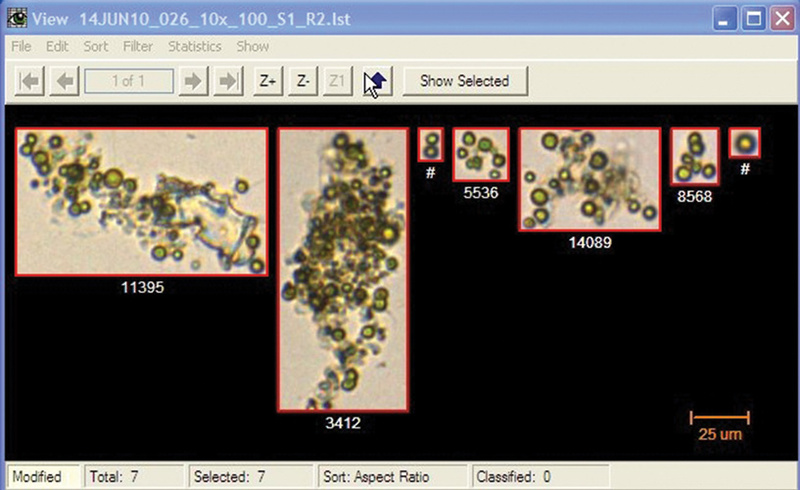 Statistical pattern recognition algorithms identify which library the algal cell most closely resembles. The figure at right shows an example of this. Algae are important within freshwater ecosystems. They form the base of the food chain, and play a crucial role in it’s ability to absorb nutrients and heavy metals. Excessive growth can cause algae blooms though, which can pose a risk to humans, animals and water quality. Monitoring algae populations is essential when monitoring the health of lakes and other freshwater environments. 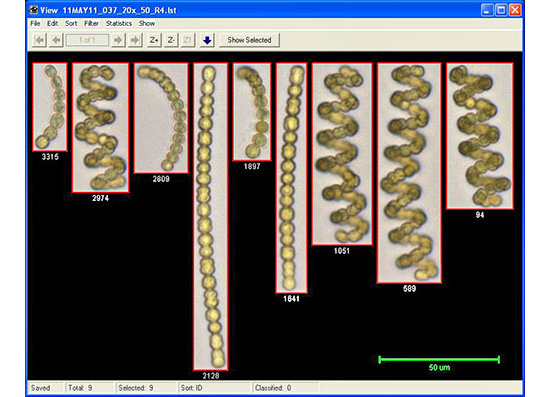 FlowCam reduces your analysis time, allowing you to advance your research quickly with more comprehensive data. Algae continues to show great promise as a renewable source for fuel, feeds, and other products such as chemical feed stocks, lubricants, and fertilizers. Regardless of the types of algae being produced, continuous monitoring is required to understand the growth, composition, and purity of your algae. 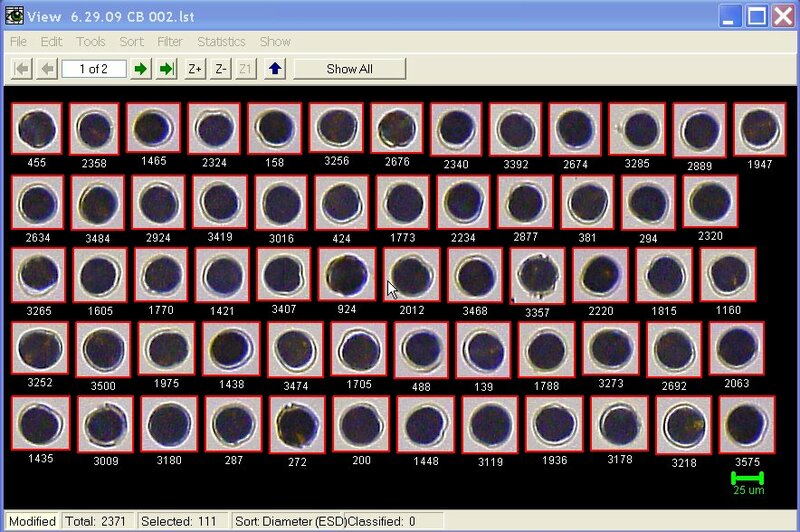 The high rate of image acquisition and pattern recognition via the VisualSpreadsheet© software makes the FlowCAM capable of analyzing much larger sample populations in a shorter amount of time than through typical manual microscopy methods (such as a hemocytometer). Having these larger sample populations yields higher statistical significance in the data for increased confidence in accuracy and repeatability.